Not long ago we shared a simple recipe for calming lavender cloud dough. Lavender is known for it's therapeutic properties, and the cloud dough really helped to sooth and lull Rosie and Jewel during difficult times. Along that same thinking I made a batch of lavender water beads. These have been great for play just before bed time, for use during time-out, and for anytime my girls simply need to calm down and refocus. 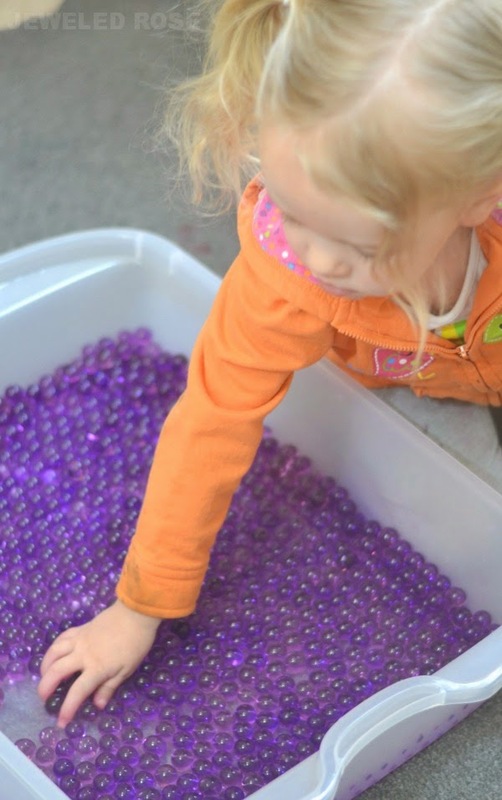 Handling sensory materials like water beads is naturally therapeutic and helps to relax little ones. Adding a lavender scent provided another calming attribute. It is truly amazing how much these water beads have helped chill out my girls and refocus their energies in positive ways. Water beads typically come dehydrated in packages of at least 100. As they soak in water they fill and expand, transforming into squishy, water filled marbles. 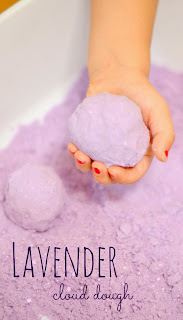 All you have to do to make lavender scented water beads is soak the colored beads of your choice in water as you typically would, adding a few drops of lavender essential oil to the water. As the beads soak they will fill with the delightful lavender water. After 4-6 hours the beads will be fully hydrated and ready for play. You can give them to kids in a bin or container with or without water. Rosie and Jewel like playing and exploring with them both ways. These water beads have been helpful during so many difficult times. I have used them to help refocus Rosie and Jewel when they are fighting or having a hard day. I often pull them out when the girls need a time-out or a moment to regain control of their emotions. I also love giving these to the girls for play just before bedtime. It is amazing how much faster they seem to fall asleep. Really, it is amazing the positive impact this simple play material seems to have on Rosie and Jewel. 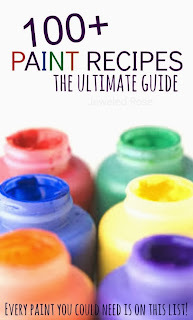 I love how easy these are to make, too! Tips & Storage: Water beads should be stored in clean water that is changed often. About once a week I pour the beads into a strainer, add soap , and get the beads sudsy while running them under water to clean them. Then I rinse them and return them to a bin of clean water. 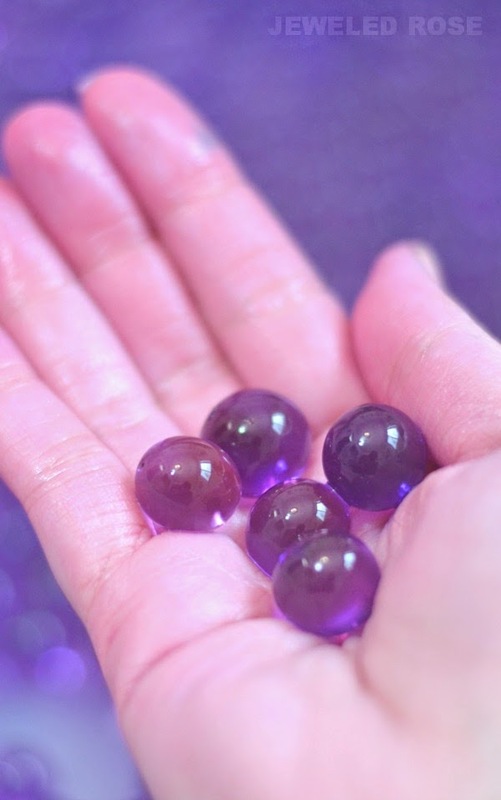 If the beads begin to lose their scent you can add a drop or two of lavender oil to the water you are soaking them in. You can leave the beads out of water, but they will eventually dehydrate and shrink back to their original size. Water beads can be found in the floral aisle of Walmart and Michaels or in a variety of colors online here, here, and here. 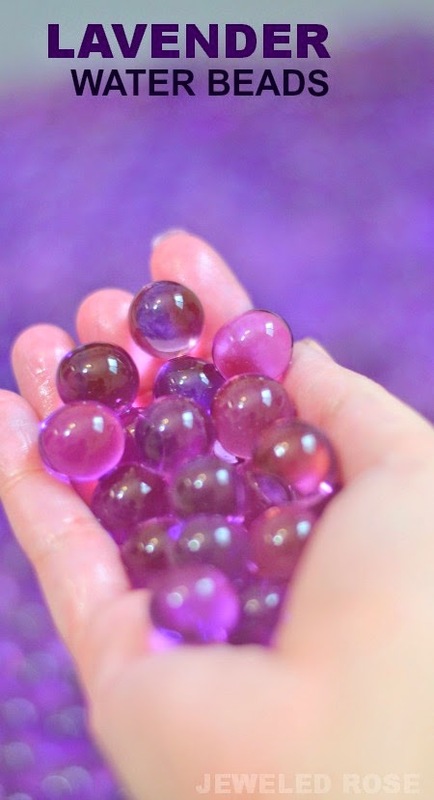 Purple water beads can be found here. The lavender essential oil we use can be found here. Note- Please keep water beads out of reach of children who may be tempted to eat or ingest them. 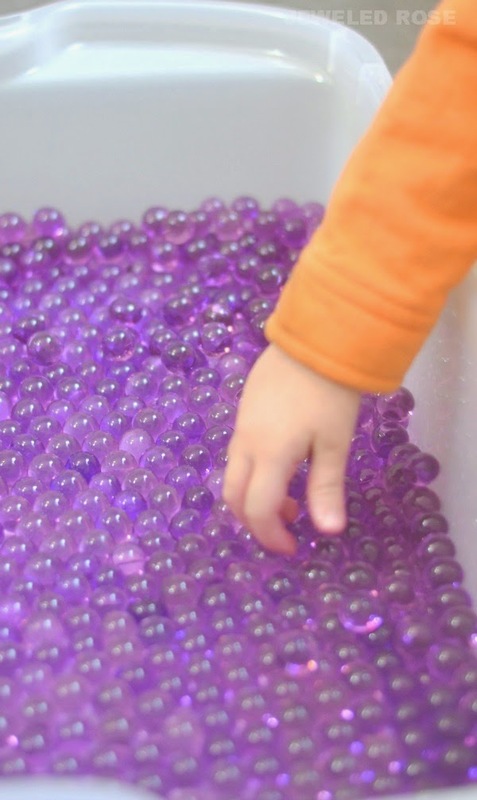 Water beads are a potential coking hazard and are not meant for consumption.